Marijuana Mythbusters » Need to Pass a Drug Test? 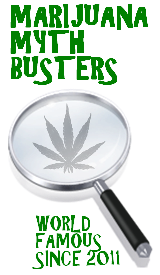 This entry was posted by Mythbuster on June 27, 2011 at 9:02 pm, and is filed under General Ganja. Follow any responses to this post through RSS 2.0.You can leave a response or trackback from your own site. How to get Weed Out of your System? No old Rehash! Something That …?How to get marijuana out of your system? ?